Who said online best kept secrets cant be kept. 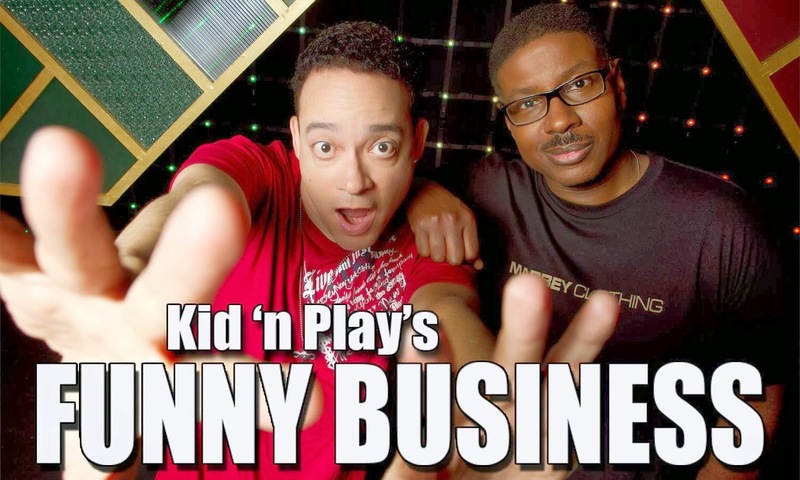 It was with the reactivation of the iconic group Kid N Play’s broadcast titled Funny Business. The backdrop of this broadcast is so catchy, yet understandable for the younger generation to capture a moment of knowing the history of Christopher “Kid” Reid and Christopher “Play” Martin. After years of separation Kid and Play are forced to work together again after their manager swindles all their riches. All that's left is a sad failing Comedy Club they unknowingly own and they reluctantly decide to work together to run the club with its crazy employees to make a living. This backdrop captures many different things to talk about. Its brings Kid n Play back to the scene of creating that on screen dynamic they created with movie Giants such as the House Party movies, Class Act and the music achievements of the album’s 2 Hype, Fun House & Face The Nation. It also brings a creative back drop of the once powerful comedy club aspect and brought it all together in a story that has so much potential for future material also. Kid n Play’s chemistry picks up and never loses a beat throughout the show. New classic lines spring forward as the duo work feverishly to pacify the staff of their new club, and also fend off the” insurance policy holder” of said club. Scenes were played well, and both Reid and Martin’s chemistry never wavered. Let’s just say the wheelchair scene, is some of the funniest stuff around. The chemistry with the club staff is classic and added instant chemistry that can’t be denied. What’s important to take from Kid n Play’s Funny Business is instant creativity from this broadcast, something you can watch over and over. It’s a nostalgic kind of vibe, but also brings us back to the golden age of what comedy clubs mean to the established folks. There are so many scenes that will leave you laughing, and feeling good about what you’re watching. In closing, support it, tell others about it, and DEMAND more broadcasts, because it’s worth the views, and worth sharing with the entertainment world.